1) Love ‘Em or Hate ‘Em, Pumpkin Ciders Are Here according to Cider Culture. 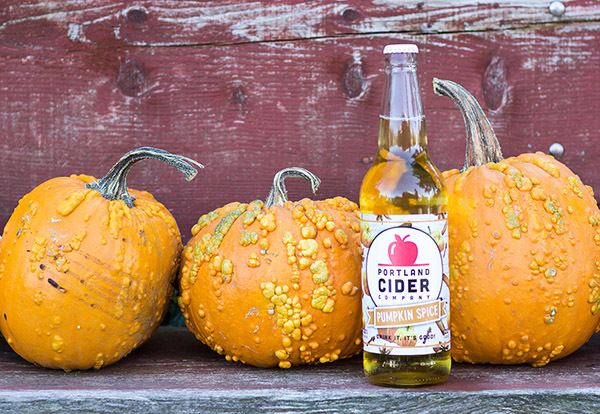 Sip Northwest also lists a handful of autumn favorites in 5 Seasonal Ciders to Satisfy Sweater Weather Cravings. 2) Cidercraft shares its favorite session ciders in 5 Palate-Pleasing Ciders Without the Boozy Punch. 3) Citizen Cider to Expand in Burlington details a three-phase expansion project for the Vermont cider producer. And in Colorado, Cider Rules the House at Stem in RiNo is a short video about the rapidly growing Denver cider scene. 6) The Ciderologist weighs in on UK and global cider trends in Volume & Value. And according to Nielsen data, UK cider sales top £1 billion for first time since 2014. 7) Wines in Niagara posts an in-depth profile of Ironwood Hard Cider in Richard Liu wants to put Ontario ciders on the world stage, and he just might do it. 8) Cidre AOP Cornouaille—the only protected cider appellation in Brittany—celebrates its 20th Vintage today. 9) On tap this weekend: the York Beer & Cider Festival (cider list), the Great Welsh Beer & Cider Festival (cider list), and The Festival of Kingston Black at Scott Farm in Vermont. 10) Along Came a Cider reviews Distillery Lane Witches Brew. Cider Says shares notes from a Reverend Nat’s Cider Class and reviews Gitche Gumee Entropy and Eden + Tilted Shed Two Ellies. Cidercraft reviews Ethic Ciders Golden Rule. Sipology reviews Gitche Gumee Entropy. CiderScene visits 101 Cider House and reviews Urban Farm Fermentory Super Dry Cidah. The Milled Apple reviews Graft Cider Endless Fields and Urban Farm Fermentory Blueberry Cidah. Cider Society reviews Rekorderlig Spiced Apple, Original Sin Dry Rosé, and Sina Hard Cider. The Cider Drinker reviews Crate Brewery Cider. And Cider Explorer reviews Bright Side Cider, Kingstone Press, and Le Brun Cidre Artisanal Doux.